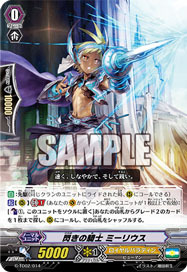 [A] [(V)/(R)]: When this hits a Vanguard with an attack, if you have a ::Granblue:: Vanguard, choose a card in your Damage Zone and turn it face-up. No, they are all delicious. They're all just fermented, is all.